internet radio station; RDS, which is operating out of Canada to explain his position. he made an application for a duty free car on the basis that he was a handicap person. 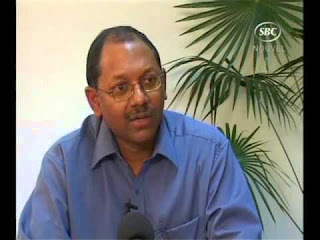 of Seychelles should do – be it in SPPF or LDS. of 4.5 million dollars intended for the housing project at Perseverance? confiscated by the currency police was given to you directly? (s5318) in February 2005 on the basis that you are a handicap person? 50,000 saying that it was for your superiors, “pour mes superieurs”? – who is asking for the setting up of a transparent Corruption Commission. to appear before the Corruption Commission when it is finally set up? LDS are corrupt will make our task harder. we are serious in our quest to wage war on corruption. They must all face the music!! Who is the real leader of LDS?